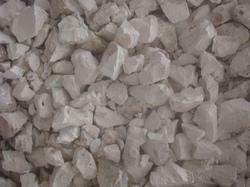 We are remarkable enterprise, involved in offering superior quality Burnt Limestone Lumps. Our company is a prominent Manufacturer & Supplier of Burnt Lime Lumps. The Burnt Lime Lumps are widely used for various industrial applications. We supply fine grade Burnt Lime Lumps all across the country at the most reasonable prices. Quick Lime Powder manufactured from Rajasthan Limestone, of following detailed specifications. We are topmost Manufacturers and Suppliers of Quick Lime. We are manufacturer of Lime, since 1985 in India. We have very good setup and good production capacity to produce Quick Lime up to 180 tons daily. We have 8 Lime Kilns in and around North and South India. Our range is inclusive of Quick Lime Powder and Quick Lime Lumps. We are presenting excellent quality assortment of Burnt Limestone. We are engaged in processing and offering Burnt Lime that is also known as Quicklime. This is Calcium Oxide and is widely used as chemical compound in various processes for chemical manufacturing. Apart from this, this is also used in theatrical productions prior to the invention of electric lighting. 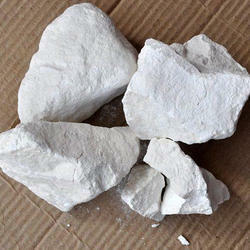 Burnt Lime is widely used versatile chemical compound, made from excellent deposit of high calcium limestone. High calcium lime is used for acid neutralization, flue gas treatment, as flux in metallurgical industry, in sugar refining etc. We are Offering Quick Lime to our clients. With our years of experience & in depth knowledge in this field, we are engaged in offering a quality-assured array of Burnt Lime.